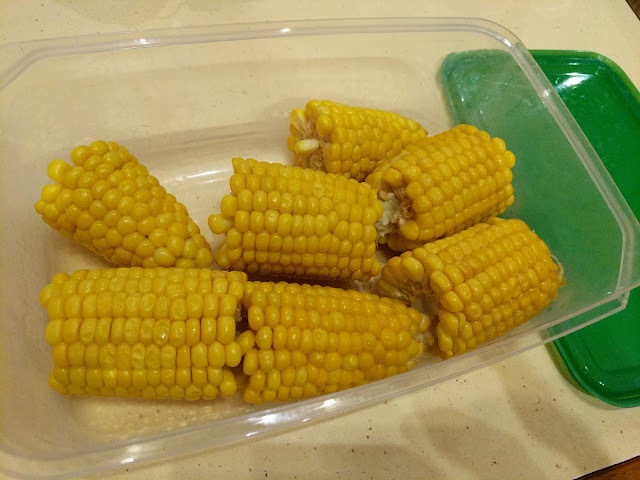 I cooked a lot of corn because I thought I would have people to dinner. I didn't. So I will be putting a lot of corn into the fridge. In the sort of world that I live in this would be food for the next week. But anyhow with 4 people I can assure you that this will not get eaten. And so I am glad that we have chickens.